On Saturday 6th April, 3 selected ringers from St Mary’s Sandbach joined other South Cheshire ringers at St Peters Prestbury church for the Chester Guild 8 bell striking competition. We were lucky with the weather and a good turn out stood outside in the sunshine listening to the ringing. The South Cheshire band drew to ring last and a long wait ensued while the other teams rang. Despite the nerves, much tea, coffee and cake was consumed! After ringing the test piece all the ringers assembled in the church to hear the results. 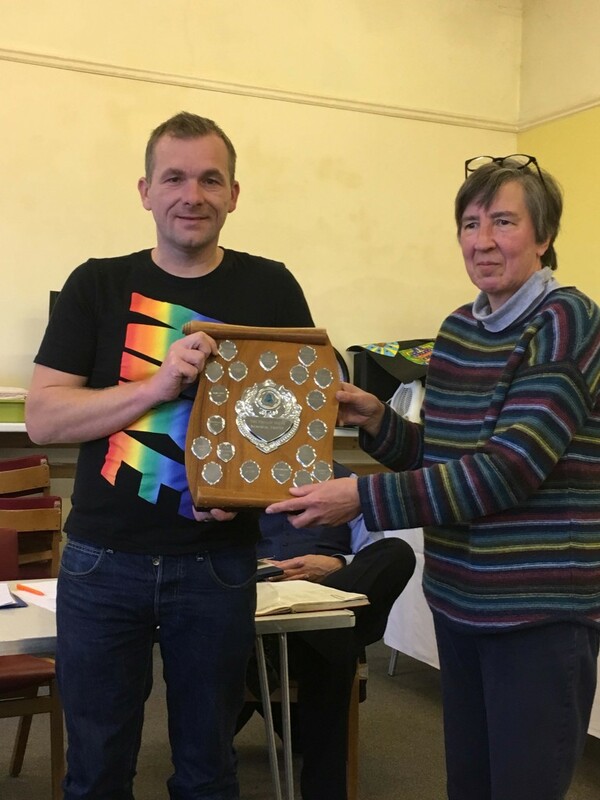 South Cheshire came 5th. 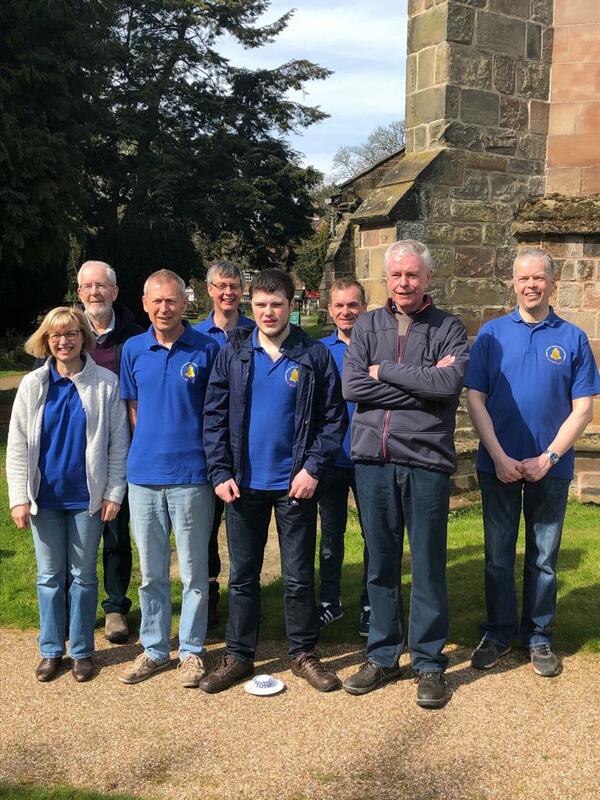 Again this was a first for Sandbach ringers as no St Mary’s ringers had participated for many years. 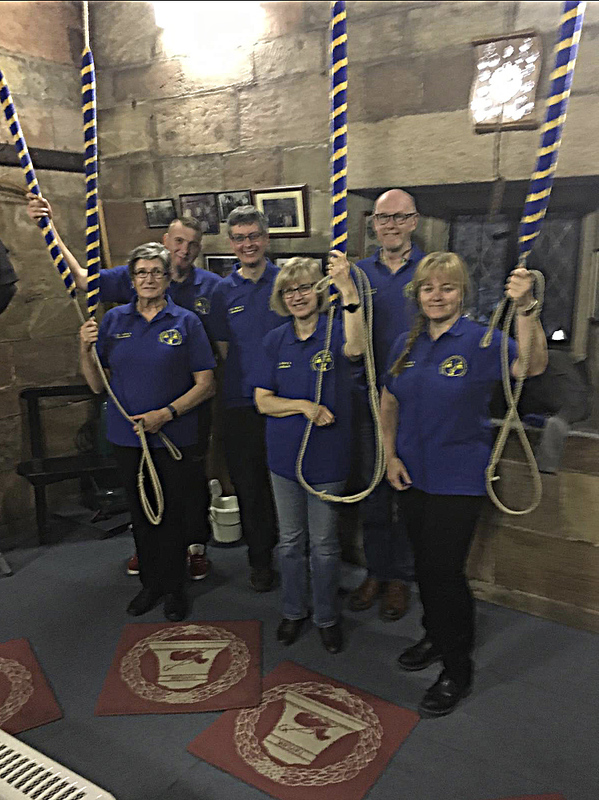 On Saturday 13th April with the town full of people attending the first day of the Sandbach Transport Festival, we opened the ringing room up to visitors in an effort to raise funds for essential bell maintenance. For just £2 per person you could have a go at chiming a bell or ringing with assistance. The cctv cameras were on the bells so the visitors could watch as the bells rang. 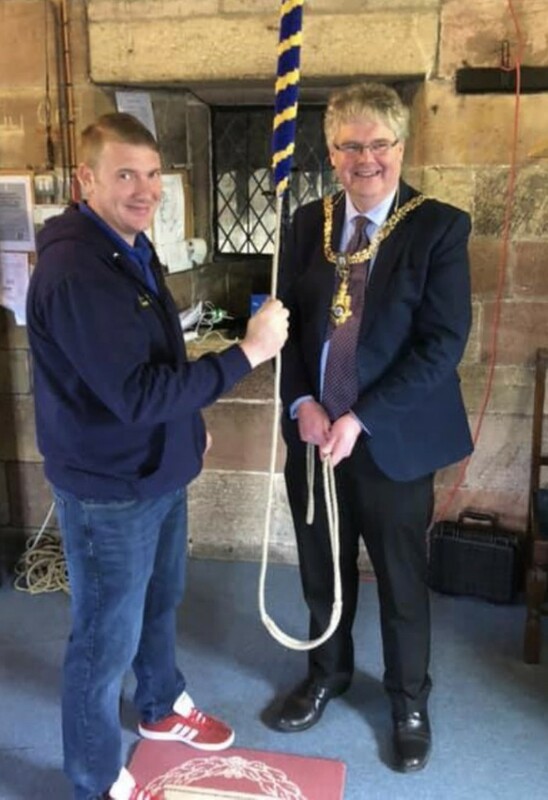 We also had a visit from the Mayor who had a go at ringing. It turned out to be a busy few hours and a fun time was had by all. £150 was raised on the day. 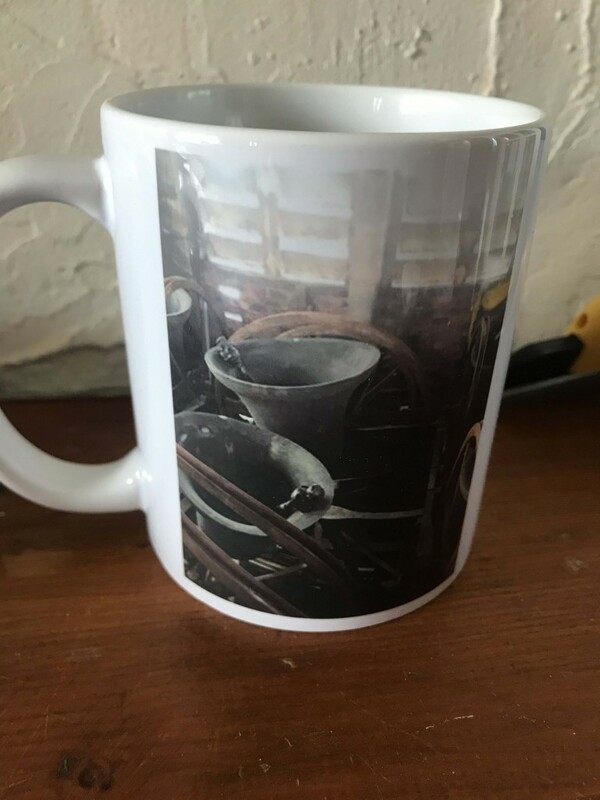 As part of our ongoing fundraising to support the maintenance of the bells, we are now selling mugs for £5 each. If you would like to buy one please contact steve.